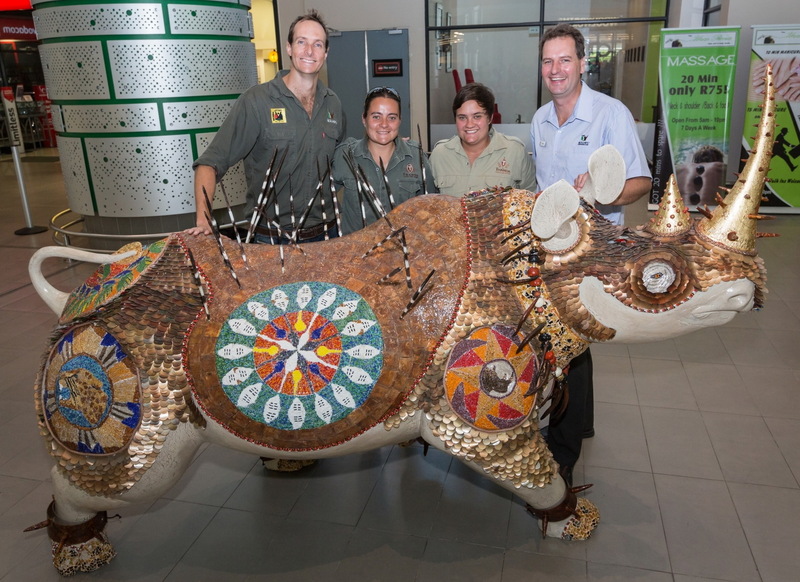 The Thanda wildlife team joined Wildlands Conservation Trust representatives at the unveiling of the latest “Rhino Parade Art” at Durban’s King Shaka International Airport. This beautiful decorated representative of the threatened Rhino Species display to the airport visitors the need for support for rescue activities to save the Rhinos of this world from extinction. And it is to honor all field rangers fighting for Rhino. The name of this piece of art is ISIBINDI, which means courage in Zulu. With ISIBINDI in the picture are Mark G. (WCT), Mariana Venter (Thanda), Letishia Kleinschmidt (Thanda) & Dr Andrew Venter (WCT).